The latest U.S. Department of Defense Report on “Enhancing Security and Stability in Afghanistan” reiterates that Pakistan’s sanctuary, support, and employment of insurgents and terrorists is a strategic impediment to ending that war well, or to ending it at all. The Pentagon is now preparing to send about four thousands more troops. A number of Coalition partners will probably send a commensurate number of additional troops. More troops and more actions will build advisory capacity and thus improve the Afghan security forces capacity. More capacity will, in turn, gain some tactical and operational momentum vis-à-vis the Taliban, the Haqqani network, and other Islamist militants that benefit from Pakistan’s support and sanctuary. But more action and more troops in and of themselves will not gain strategic momentum. Strategic momentum requires a marked change in Pakistan’s strategic behavior. That requires a strategy which includes more regional cooperation and a much more coercive strategic approach to curb Pakistan’s machinations. This requires a sea change in strategic thinking to shock, compel, and instill fear in Pakistan’s security establishment to break it out of its ingrained strategic-cultural pathologies. Pakistan’s duplicitous incubation and export of proxy terrorists and insurgents is the most significant obstacle to peace in Afghanistan and South Asia. (Stockholm, 3 July 2017) The Stockholm International Peace Research Institute (SIPRI) today launches its annual nuclear forces data, which highlights the current trends and developments in world nuclear arsenals. The data shows that while the overall number of nuclear weapons in the world continues to decline, all of the nuclear weapon-possessing states are in the process of modernizing their nuclear arsenals and will not be prepared to give them up for the foreseeable future. At the start of 2017 nine states—the United States, Russia, the United Kingdom, France, China, India, Pakistan, Israel and North Korea—possessed approximately 4150 operationally deployed nuclear weapons. If all nuclear warheads are counted, these states together possessed a total of approximately 14 935 nuclear weapons, compared with 15 395 in early 2016 (see table 1). * Deployed warheads refers to warheads placed on missiles or located on bases with operational forces. ** Other warheads refers to warheads that are held in reserve or that are retired and awaiting dismantlement. Afghanistan is transitioning from one crisis to another. It has moved from being a place where extremists coexisted and used terrorism to gain a political voice on a national and international scale, to a place where radical ideologues are fighting for dominance and external powers’ priorities diverge. This raises questions about India’s long-standing approach to the country. India’s Afghanistan policy, especially after the 1979 Soviet invasion, has worked on the premise that an external friendly power would do the heavy lifting in Afghanistan’s security and political sector. India, meanwhile, would invest in soft sectors, such as infrastructure development, and would limit its involvement in the security domain. In the 1990s, India’s Afghanistan policy was tied to Iran and Russia, and a regional alignment between the three states was strategically viable. Though the states had differences, they supported the United Front of the so-called Northern Alliance against the Taliban. This allowed India to avoid direct involvement in the conflict. That was potentially an acceptable choice when other major actors involved were behaving in line with India’s interests and aims. But today, the context is different. Russia’s and Iran’s approaches are no longer in accord with India’s. Russia’s ongoing outreach to the Afghan Taliban and Pakistan has raised concerns that Moscow could be deviating from earlier approaches that it had shared with India. Moscow and Tehran are challenging India’s advocacy of an Afghan-led, Afghan-owned, and Afghan-controlled reconciliation process. India relies on U.S. support to Kabul for maintaining stability, and it is largely focused on what it views as the threat from Pakistan. But whether the United States can be relied on is an open question, and India’s stance on Pakistan puts it at odds with Iran and Russia. With the passage of time, the transactional elements in the U.S.-Indian partnership have become more conspicuous than the geostrategic dimensions, compounding India’s security dilemmas. U.S. President Donald Trump made it known during his presidential election campaign that he likes India and Indians. Yet, in office, Trump has taken a series of steps in the immigration and trade realms that have adversely impacted India. Prime Minister Narendra Modi had a good first-ever meeting with Trump, although it yielded few deliverables. The two will have another opportunity to meet soon when Germany hosts the annual G-20 summit in Hamburg. Yet it is still not clear how salient India will be in the Trump foreign policy. This is largely because Trump’s larger geopolitical policy framework is still evolving. The U.S.-India strategic partnership is essentially founded on two pillars — a U.S. commitment to assist, in America’s own interest, India’s rise; and a shared interest in building an inclusive, stable, rules-based Asian order to help manage China’s muscular rise. The hope in India has been that the U.S. would assist its rise in the way it aided China’s economic ascent since the 1970s. President Jimmy Carter, for example, sent a memo to various U.S government departments instructing them to help in China’s rise. Even China’s firing of missiles into the Taiwan Strait in 1996 did not change that policy. If anything, the U.S. has gradually loosened its close links with Taiwan, with no U.S. Cabinet member visiting that island since those missile manoeuvres. India’s soft power plays a big role in the Afghan admiration of the Indian media. It is not surprising that India invests in the infrastructure of Afghanistan. As the sun sets and darkness spreads, it is entertainment time for thousands of Afghan households across the country, rich and poor, educated and uneducated and old and young. They silence their children and sit before the television sets, with their eyes glued to the screens. What is so strange, one may ask. But they are not watching any local television or local programmes. Instead, they are enjoying Indian television serials, dubbed in local languages. This is a regular sight across the war-torn country. Millions of Afghans wait for the night to fall to enjoy the Indian soap operas. It is said even the armed militants stopped their fights to watch some of India’s well-known serials. Also very popular are Indian movies—the Bollywood entertainers. Now, with Afghanistan also developing a cricket team, Indian cricket stars have also become very popular among millions of sport-loving Afghans. The India-Pakistan cricket rivalry and India’s victories over its neighbour are cherished by the Afghans too. ISLAMABAD (AP) – Pakistan intelligence and security officials reacted angrily Sunday to the release of a memoir by an ex-CIA contractor, saying his 2011 acquittal in a high-profile murder case and subsequent return to the U.S. was an arrangement between Pakistan and the U.S., not among individuals. Raymond Davis made headlines this week when his book exposed the alleged role of Pakistan’s former spy chief Shuja Pasha in quashing a murder trial against Davis by paying $2.4 million to the families of two men Davis killed while working for the CIA in Pakistan in 2011. The incident triggered a diplomatic crisis when police arrested Davis for the killings. But, seven weeks later, the families of the slain men told a court that they pardoned Davis, ending a tense showdown between the U.S. and Pakistan, America’s ally in the war on extremism. Sunday’s reaction came after Davis released “The Contractor: How I Landed in a Pakistani Prison and Ignited a Diplomatic Crisis.” In the book, Davis says he considered the two Pakistanis a threat when they rode their motorcycle near his car and one of them had a gun in his hand. The window during which President Donald Trump can extricate U.S. forces from the mess in Afghanistan and blame his predecessors for the calamity is rapidly closing. A few more weeks, another surge, and he will be the third president to be saddled with this war; it will become his. The move to allow the military to determine how many more troops to send to Afghanistan would have been a wise one—let the professionals make such tactical decisions—if it reflected the president’s decision to stay the course. Such a decision would follow a review of the war involving not just the Pentagon, but also the intelligence community, the State Department and the staff of the National Security Council, among others. However, that is not the way this president makes decisions. He just left it to the Pentagon to sort out. The 220 Km border between Sikkim and Tibet is the only delimited and demarcated part of the 4,000 Km odd Sino-Indian border. It is difficult to figure out just what is happening in the present face off on the India-China-Bhutan tri-junction, to be specific, the point where Sikkim-Tibet-Bhutan meet. But the standoff has seen some uncharacteristic response from the three actors. First, Beijing has adopted the posture of an aggrieved party and says it has issued a formal diplomatic protest to India. Second, discarding its normal reticence on these matters, Bhutan, through their ambassador in New Delhi, General V. Namgyel, has publicly called out China for violating the conditions of a 1998 agreement not to alter the status quo on their border by constructing a road in the region towards a Royal Bhutan Army camp. Third, the usually voluble New Delhi has maintained a studied silence till now. The average Google Map does not quite show the places where the action is taking place. There is some confusion about where Doklam Plateau is. Most maps show the 269 sq Kms area disputed between China and Bhutan to the north east of Yadong, some distance from the trijunction. However, Chinese put out a map on 30 June showing the area to be south of the trijunction and this, obviously is a problem. There is a reason for seemingly mixed messages: Like more advanced economies, China has now a debt challenge. Yet, the context is different and so are the implications. 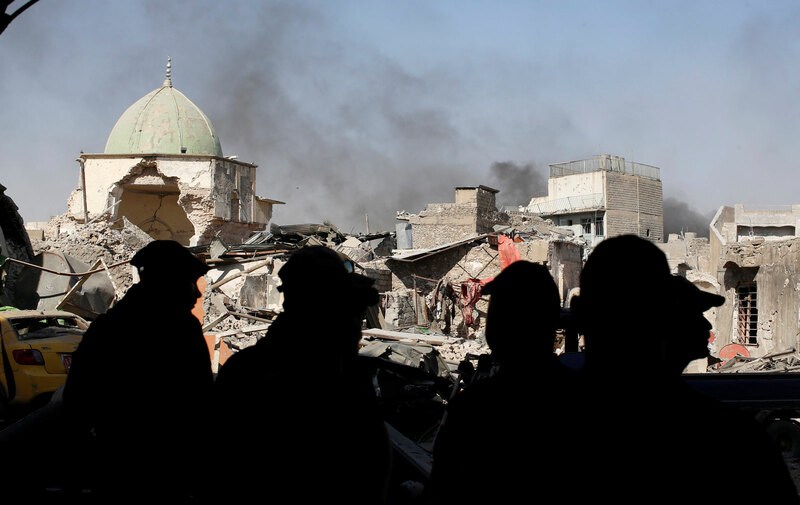 As an eight-month battle to retake Mosul from ISIS is coming to an end in the labyrinthine alleyways of the Old City, a parallel battle to defeat its fighters in the Syrian town of Raqqa is gathering force. But further battles await: downstream along the Euphrates in Deir al-Zour, in the vast desert that spans the Iraq–Syria border, and in a large chunk of territory west of the Iraqi city of Kirkuk. To members of the US-led coalition and to Western audiences, this has been a necessary military campaign, directed at a jihadist group whose brutal methods and ambition to carry out attacks in western capitals pose an intolerable threat. To local people, the picture is decidedly different. ISIS’s military defeat, which Western officials believe will come sometime later this year or early next, will hardly put an end to the conflicts that gave rise to the group. For much of the battle against ISIS has taken place in a region that has been fought over ever since oil was found in Kirkuk in the 1930s. The deeper conflicts here—between Arabs and Kurds, between Shia and Sunni, between neighboring powers such as Iran and Turkey, and among the Kurds themselves—will only escalate as the victors, fortified by weapons supplies and military training provided by foreign governments, engage in a mad scramble for the spoils. In this text, Nathan Brown explores the modern roots of the Arab world’s ‘religion-state complex’. While Arab regimes may hold sway over official religious structures, their ability to bend these institutions to suit their own purposes remains a mixed bag, primarily because of the region’s complex religious landscape. This complexity is especially troublesome, Brown observes, when it comes to formulating effective anti-extremist strategies. Several studies by economists such as Paul Collier and Anke Hoeffler in 1998 and 2002describe how economic indicators, such as slow income growth and natural resource dependence, can explain political upheaval. More specifically, low per capita income has been a significant trigger of civil unrest. On March 2, 1969 Soviet troops patrolling Damansky Island (Zhenbao) on the Ussuri River came under fire from Chinese troops. The attack, just 120 miles from the major Soviet city of Khabarovsk, killed fifty Soviet troops and wounded many more. The Moscow believed that the attack was premeditated, with Beijing bringing in a special combat unit to ambush Soviet forces. Alleged atrocities against wounded Soviet troops made the Soviet leadership furious. Soviet border guards counterattacked Chinese forces in and around the island on March 15, according to the CIA killing “hundreds” of Chinese troops. Clashes continued through the spring and summer, and by August, CIA director Richard Helms had informed the press that the Soviet leadership had been discreetly inquiring with foreign governments about their opinion on a preemptive strike on China. Innovations in digitization, analytics, artificial intelligence, and automation are creating performance and productivity opportunities for business and the economy, even as they reshape employment and the future of work. Rapid technological advances in digitization and data and analytics have been reshaping the business landscape, supercharging performance, and enabling the emergence of new business innovations and new forms of competition. At the same time, the technology itself continues to evolve, bringing new waves of advances in robotics, analytics, and artificial intelligence (AI), and especially machine learning. Together they amount to a step change in technical capabilities that could have profound implications for business, for the economy, and more broadly, for society. The opportunity available now Some companies are gaining a competitive edge with their use of data and analytics, which can enable faster and larger-scale evidence-based decision making, insight generation, and process optimization. But there is room to catch up and to excel. Harnessing digitization’s potential is similarly uneven. Data and analytics are transformational, yet many companies are capturing only a fraction of their value Data and analytics have been changing the basis of competition in the years since our first report on big data in 2011. Leading companies are using their capabilities not only to improve their core operations but also to launch entirely new business models. The network effects of digital platforms are creating a winner-take-most dynamic in some markets. Yet while the volume of available data has grown exponentially in recent years, most companies are capturing only a fraction of the potential value in terms of revenue and profit gains. The Marine Corps Commandant’s Professional Reading List (CPRL) is published annually, providing books ‘most pertinent for professional development and critical thinking at each level’. It is a comprehensive list organised into: Commandant’s choice which all Marines must read, and further divided by grade level. The expectation is that all Marines, officers and enlisted, read five books within their grade per year before reading those in other levels. What can we learn about professional development from the CPRL? 1. Achievable. A graduated, rank (position) appropriate and brief list provides manageable goals for individuals. Conversely, some ADF reading lists represent a grand or insurmountable challenge to soldiers and officers, particularly junior leaders. The CPRL provides an achievable professional development pathway. 2. Integrated. USMC Commanders will direct books from the reading list as part of annual performance requirements. Commander’s discussion guides are available that cover how to run discussion seminars on each book. PME and Schooling further this integration, where these lists form a basis of assumed knowledge across the Corps. The CPRL is integrated throughout USMC training and education. My father enlisted in the Marine Corps as soon as he graduated from Harvard in 1942, a few months after Pearl Harbor. He led a platoon in the first assault wave on the South Pacific island of Bougainville in 1943. He must have seen horrible things in the war, but he rarely spoke about it. His books about the exploits of the Third Marine Division showed dead and disfigured Marines and Japanese soldiers; jungles torn to shreds by gunfire; Marines using flamethrowers to incinerate or flush out Japanese troops in caves. 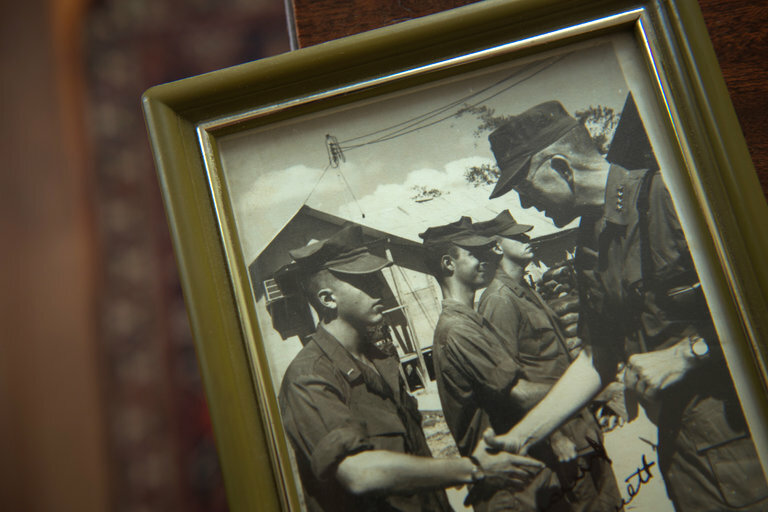 Despite my father’s reluctance to talk about the war, it seems to have been his peak experience; it appeared to me that he found the rest of his life, as a successful lawyer, anti-climactic and vaguely disappointing. During parties at our house when I was a young boy, my father, after a few drinks, “drilled the troops” with the guests using broomsticks for rifles and marching to his commands through the house and out into the yard. He also used his best drill instructor’s voice to call my Cub Scout troop to attention for the Pledge of Allegiance. ARLINGTON: Against terrorists in Afghanistan, Syria, and Iraq, US forces are firing smart weapons like Hellfire missiles as fast as industry can build them — or faster. Against a well-armed adversary like Russia or China, we might run out. That’s why the military is making a major multi-year investment in precision weapons, one that the Army’s chief logistician estimates at $45 billion for his service alone. Summary: Special Operations Forces are the heroes in the second phase, the 16th year, of the War on Terror. But years of failure have raised doubts that their bravery and skill have been well applied to these wars, or if they are even relevant. Fighting against the almost untrained and poorly equipped. Losing. A few weeks ago, the Atlantic Monthly Press released Mark Bowden’s excellent book, Hue 1968, A Turning Point of the American War in Vietnam. As he did previously in Black Hawk Down, Bowden brings the reader down the deadly streets of a savage urban battle, meticulously describing the action from the points of view the participants. Currently, the roughly yearlong battle for the Iraqi city of Mosul is drawing to a close. Although a half century separates these two classic battles, the similarities in urban combat far outweigh differences. Why is this so and what does it portend for the future? Similar ferocity marked the Marine assaults against the Iraqi city of Fallujah in 2004. Eighteen thousand of the city’s 39,000 buildings were damaged or destroyed. More than 120 Americans and thousands of Iraqi civilians and insurgents died. Had it not been for modern medical techniques, about as many Americans would have been killed in Fallujah as in Hue. And over a decade later, it has taken 100,000 Iraqi forces (to include the Kurdish peshmerga soldiery) a year to kill or drive out the estimated 5,000 terrorists called ISIS from Mosul. Undoubtedly the toll, if ever accurately assessed, will be much higher than in Hue of 1968. There is no guarantee that America can “win” in Afghanistan, but it is quite clear that it can lose. President Trump’s June 13 decision to delegate authorities on troop levels and operations in Afghanistan to Secretary of Defense James Mattis set the correct and essential condition for beginning to improve security and to enhance the prospects of success in Afghanistan. It was taken in the context of doubts in some circles around the president and in the commentariat that continued U.S. commitment to Afghanistan is worth the candle, and that the relatively small number of additional U.S. and coalition forces under discussion will in fact turn the tide. But if the United States couldn’t win with one hundred thousand troops in the fight, what difference will another couple thousand make now? The answer begins with understanding the past and present military missions, with recognizing that, despite mistakes made and outstanding issues, there have been considerable achievements, and with developing a strategy. A worthwhile strategy must aim all the instruments of U.S. power and influence at prevailing over Islamist terror and the Taliban. If the administration gets that right, with a realistic comprehension of what is needed to win this conflict, America and its allies will be on much sounder footing in Afghanistan and in the global confrontation with Islamist terror. There is no guarantee that the United States can “win” in Afghanistan, but it is quite clear that it can lose, with grave consequences for American security. Current-generation drones, however, are much more akin to aircraft than missiles, because they are recoverable airframes designed to conduct increasingly sophisticated surveillance missions or launch weapons at a target and then return to base. The MTCR was never intended to regulate aircraft, a ubiquitous technology that cannot be controlled with export regimes. Regulating the export of drones and drone parts using range and payload standards relevant for missiles represents a mismatch between technology and reality, which could have negative effects. Advanced and armed drones are proliferating rapidly, many exported by China. Drone proliferation threatens to undermine the MTCR as a whole, signaling its general lack of effectiveness, if the regime purports to control the technology while clearly failing to do so. Sustaining the original intent of the regime—to halt or at least slow the spread of missiles capable of delivering weapons of mass destruction—may therefore require a new path forward. Placing drones in the same exempt category as crewed aircraft would reflect the technological reality and help preserve the integrity of the regime. What is needed to split NSA and Cyber Command? This is Part I of a four-part series exploring what U.S. Cyber Command will need to operate on its own, separate from the National Security Agency. With the impending split of U.S. Cyber Command and the National Security Agency, the focus will shift from personnel and staffing to infrastructure and tools. Under current law, one of the requirements set forth in the 2017 National Defense Authorization Act calls for – among other things prior to a split – the chairman of the Joint Chiefs of Staff and the secretary of defense to certify that the capabilities of Cyber Command and the NSA won’t be degraded if they split off. Currently, CYBERCOM, which was stood up in 2009, is co-located with the NSA — a decision that made sense at the time of CYBERCOM’s inception to rely on the infrastructure and rich cyber talent resident within the NSA. However, the two perform different roles: The NSA is an intelligence-gathering organization focused on national-level security as well as a combatant command-support organization; CYBERCOM performs war-fighting tasks. The cyber revolution and ever-growing transfer of human activities into the virtual world are undermining the social contract between modern states and their citizens. Most governments are becoming unable and unwilling to protect citizens and private enterprises against numerous, sophisticated cyber predators seeking to disrupt, manipulate, or destroy their digital equities. Inevitably, states are focused on protecting governmental assets and national infrastructure, leaving themselves with modest residual capacity and resolve to underwrite other cybersecurity risks. Faced with this reality, private entities are reluctantly but increasingly complementing their passive cybersecurity practices with more assertive “active cyber defense” (ACD) measures. This approach carries substantial risks, but if guided by bounding principles and industry models, it also has the potential for long-term, cumulative benefits. The limitations of governance. States are struggling to find a viable formula to regulate emerging private sector cyber activity. The challenge is compounded by the global and rapidly evolving nature of the cyber domain. Consequently, in many countries, national laws governing this space are either absent, vague, or difficult to operationalize. International understanding and conventions to harmonize national responses are also largely absent, complicating efforts to manage cross-border incidents with political ramifications. “You can see they’re coming at each other,” says Barbara Kahn, Wharton marketing professor and director of the school’s Jay H. Baker Retailing Center. The Amazon deal is “clearly a big play into the food business,” she says, noting that food items are the second most frequently purchased goods after apparel. In buying Whole Foods, Amazon hits Walmart squarely where it hurts: 56% of its U.S. sales come from food and grocery items. Amazon now adds Whole Foods to its other food operations: Amazon Fresh, Prime Now, Prime Pantry, Amazon Go and Amazon Fresh Pickup. A simple rehearsal might consist of a “paper drill,” where a security leader asks a threat analyst, for example, to create a “run book” documenting the steps the analyst would take to investigate a malware infection on the network. The run book outlines the processes and tools the analyst would use to investigate and remove the malware. It also identifies other individuals, such as systems administrators, who may be instrumental in helping to resolve the incident. Once the initial draft of the run book is complete, the rest of the response team walks through it to identify gaps and alternatives. The latest global ransomware outbreak has rapidly affected governments and organizations around the world. The worst part? We should have known better. A new ransomware attack is claiming victims, both private and governmental, around the world. It has struck heavily in Ukraine, where the interior ministry is calling it the largest cyberattack in the nation's history. It's also hit Denmark, Russia, the UK, and many signs point to it being worse than last month's WannaCry attack. What makes the latest attack, a clone of the GoldenEye variant of the Petya family, even worse is how it operates: Using the same security flaw that enabled WannaCry to infect computers. How was GoldenEye able to go global despite widespread coverage of its predecessor? While it's still too early to determine the full extent of the damage this outbreak has caused, security research firm Bitdefender has identified the ransomware and knows what it's capable of. This latest attack is using a nearly identical clone of GoldenEye, itself a member of the Petya family of ransomware. Petya, like other ransomware variants, encrypts files and makes users pay to get them back. Creation of international cybersecurity norms and standards so there's "at least a floor on how people behave and act." The conversation also touched on ways organizations can plan future cyberdefense strategies. Blinken said that right now, organizations are not great at "thinking around the corner," or considering how technology created today might be used as a weapon in the future. The same energy that goes into innovation needs to go into anticipating potential consequences and how to guard against them, said Blinken.